When PayPal began in December 1998, did anyone in the payments environment expect the San Jose, CA start-up to grow into the behemoth it embodies today? Love them or hate them, PayPal was the first successful merchant aggregator. Now competing with the likes of Square, Stripe, Google Checkout, and Amazon Payments — as well as other regionally based services around the world — the strong PayPal brand continues to expand as more competitors enter the payments industry. No wonder it’s confusing. One type of increased cost you’ll experience with merchant aggregators relates to chargebacks. While some chargebacks are inevitable for online businesses today, your bottom line can be quickly overrun by fees, lost revenues, and fraudulently held merchandise. 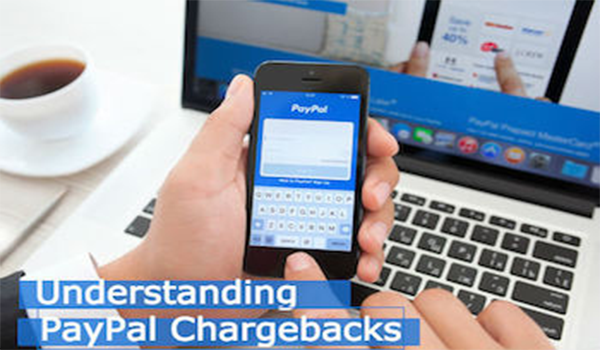 PayPal chargebacks work differently from the traditional chargeback process used for those with merchant accounts by credit card brands and acquiring banks. It behooves you to learn more if you’re considering using PayPal or another merchant aggregator to accept payments. So you’ll know to be wary, and what to watch out for. Let’s use PayPal as a proxy for aggregator services and take a deep-dive into PayPal chargebacks. PayPal Disputes and Claims — Credit Card Chargebacks. Both Cost Merchants Time and Money. In case you haven’t studied up on PayPal, start by understanding more about their business model. On their website’s home page, “Our beliefs are reflected in the way we do business every day” might be intended in a positive light, but it’s relevant to how PayPal chargebacks are handled, too. What’s the first thing to note about PayPal chargebacks? They don’t initiate or handle “chargebacks” — the issuing bank does if a PayPal customer uses a credit card to fund their account. If a PayPal customer funds an account through a bank account, and wants her money back, she’s allowed to file a “dispute.” If not resolved with the seller after 20 days, it can be escalated by either party to a “claim” — at which point PayPal will resolve it. …So the charge occurred through your PayPal account, but the cardholder may still call their issuing bank to request a chargeback. As PayPal edifies, it will give you a chance to work things out with your buyer while PayPal determines the outcome — and holds the funds pending resolution. The end result is a double-whammy of lost revenues and PayPal chargebacks fees: from the issuing bank to PayPal, and from PayPal to the merchant at $20 a pop — regardless of who wins. What About the Famous PayPal “Seller Protection Policy”? PayPal will waive the chargeback fee and cover the transaction amount IF their “Seller Protection Policy” covers the transaction. Even payments made using PayPal Payments Pro/VT, PayPal business payments or using PayPal Here are not eligible for the Seller Protection Policy. Nor are those made using PayPal Payouts and Mass Pay. And if you sell goods or services through eBay, brace yourself for more PayPal chargebacks. PayPal will honor eBay’s decisions in favor of your buyers and reverses payments made to you by PayPal (unless you opt out of the eBay Money Back Guarantee program by calling eBay). PayPal promises to help merchants dispute a chargeback that occurs through the customer’s issuing bank, but they’ll level the $20 fee to cover their efforts to “facilitate the process” anyway. Meanwhile, if a customer loses the chargeback battle with their bank, they can still file a dispute with PayPal, leading to a formal claim 7 days later — and vice versa. While they hold your funds. And to top it all off, for all claims filed by a buyer, you will not receive a refund of the PayPal fees you paid in connection with the original sale. PayPal chargebacks add up indeed… so buyer beware. Choosing the right payments partner is one of the best ways to ensure your online storefront is set up for success. Select a payments processor who’s both expert and well regarded in the payments industry — someone who understands your business model. That’s especially important for high-risk merchants, who deal with more chargebacks than the average online merchant. You want someone who will first listen to your specific business needs, and only then suggest the right processing solution for your requirements. Like a good business partner should. Because partners work together long-term — since success together is richer for you both.